Sierra SWCD Board of Supervisors meet in open session on the second Wednesday of every month. Meetings are called to order at 1:00PM in the board room of the Sierra Conservation Plaza 2101 S Broadway Truth or Consequences, NM 87901. 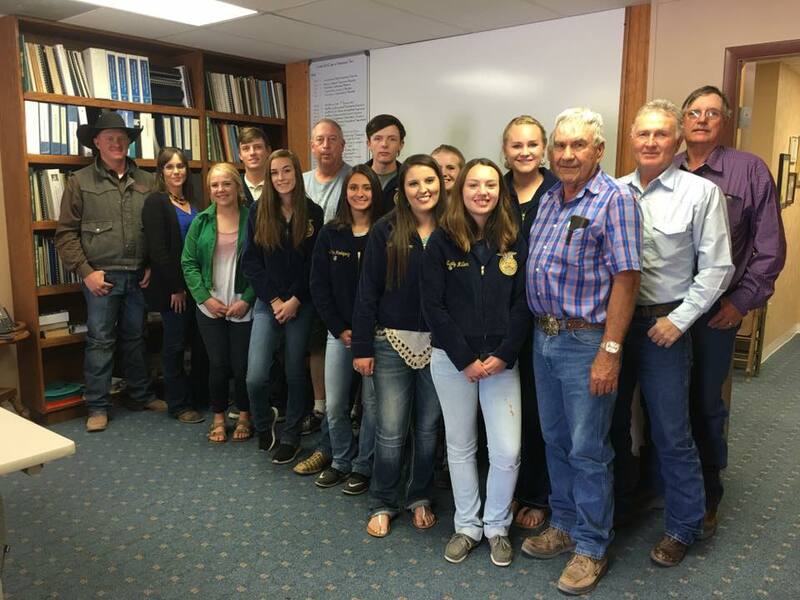 Sierra SWCD Board of Supervisors (Marshall, Bierner, Janos, Hall, Lack, Coil) welcome student FFA members to a board meeting. Sierra SWCD is a longtime sponsor of HSHS FFA. SSWCD welcomes public comment at board meetings and encourages attendance from local citizens. Minutes are not approved until formally adopted by the SSWCD Board of Supervisors. Under the Inspection of Public Records Act, every person has the right to inspect our public records. Posted 3/27/19: The Sierra Soil and Water Conservation District (SSWCD) is requesting proposals for Planning Portion of the Tiffany Fire Rehabilitation Project. Project tasks include: Outreach to Project Area Landowners and Managers, Technical Analysis and Development of Tiffany Fire Rehabilitation Plan. Work will be located primarily in Socorro County, New Mexico. This may be a multi-contractor project to assure expediency in completion of all work required. Funding for this project is being provided by New Mexico Water Trust Board Funds through the Watershed Restoration and Management Projects Category. A copy of the proposal is available at the below link. Please contact Travis Day, SSWCD Natural Resource Director, at (575) 894-2212 x 107 or via email at travis@SierraSoil.org to receive a copy of the scope of work.